See us in action! 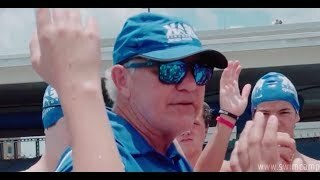 Olympic-level coaching, state-of-the-art swimming technique, fun overnight activities, and so much more. Peak Performance Swim Camp introduces NEW custom clinic programs this Fall! Choose our 4-STROKE CLINIC for 11 & Over swimmers OR our specially-designed TOP 10 CLINIC for 10 & Under swimmers. For competitive swimmers ages 11-18. 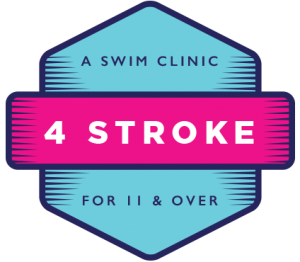 Our two-day 4-Stroke Clinic offers a “crash course” in fast swimming. We dedicate equal time to each stroke and offer quick-fix solutions that work. It’s the complete package over one weekend! Areas of focus include body position, pulling, kicking, breathing, and timing. We also offer swim sets throughout the day for an added challenge. Physical fitness can only take swimmers so far, but fitness plus the right technique can turbocharge their performance. PEAK coaches are masters at teaching and training, and our 7-to-1 swimmer-to-coach ratio is the lowest in the industry. Learn from the PEAK pros and get the winning edge! For competitive swimmers ages 8-10. It’s finally here, a swim clinic exclusively designed for the 10 & Under swimmer! At PEAK, our mission is to get swimmers off to a fast start by teaching them the skills they need to win! 10 & Under swimmers are a unique group who require extra care, attention, and patience, so we created a swim clinic just for them. Our two-day format covers the three starts (front, back, and relay), the four strokes and turns, plus mini swim sets throughout the day. PEAK coaches are masters at teaching state-of-the-art technique, and our 6-to-1 swimmer-to-coach ratio is the lowest in the industry! Due to our low ratio, space is limited. Learn from the PEAK pros and get the winning edge! 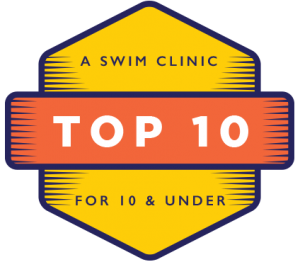 Note: The Top 10 Clinic is not a learn-to-swim program, but specifically designed for aspiring young competitive swimmers. Throughout the clinic, swimmers perform multiple lengths of each stroke, including the Butterfly. Register online or call today! Health & Release FormrequiredOnline form, For all registered campers.